From left, Basilio Santangelo, John Lambrechts and Paul Diaz. The friends decided to get vasectomies and share their stories publicly to encourage more men to think about their health. Paul Diaz, Basilio Santangelo and John Lambrechts had shared a lot of memorable experiences in their decades of friendship, but going to the doctor to all get vasectomies was one they never expected. 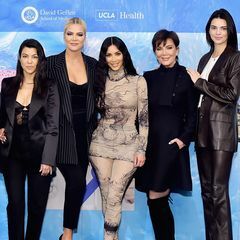 The three — each married with two children — had decided with their wives that they didn’t want to continue growing their families. After a pregnancy false alarm, Diaz and his wife, Lisa, agreed that they were happy with their two girls. Lisa brought up the idea of Paul getting a vasectomy, but there was a problem. To address his concern, Lisa reached out to her friends Sabrina and Vanessa, the wives of Santangelo and Lambrechts. In a group text message, the three hatched an idea. Paul and his friends were up for it, and they found a doctor who was ready to help. A vasectomy prevents pregnancy by blocking sperm in the vas deferens through an incision, clamp or other form of blockage. It is typically performed as an outpatient procedure in a doctor’s office under local anesthesia and takes less than 30 minutes. Though vasectomies are widely considered the most reliable and cost-effective form of birth control, a 2015 report from the United Nations found that only about one in 10 eligible men in the United States have the procedure — roughly half the rate in Canada and the United Kingdom. “Given all the advantage to vasectomies, it’s remarkable that more couples don’t consider that option,” Mills said. Permanent birth control options for women can be more complex. Sterilization surgery for women — known as tubal ligation — is a more invasive procedure that requires women to undergo general anesthesia at a hospital or surgical center. The recovery time is much longer and the failure rate is higher compared to vasectomies. According to the U.S. Centers for Disease Control and Prevention, one in every 200 tubal ligations fail and lead to unexpected pregnancies within a year. This is more than three times the rate of vasectomies. “I was not about to get back on the pill or have the [tubal ligation] surgery, so my husband was open to learning about a vasectomy,” Lisa Diaz said. While most men don’t go with a buddy — let alone in a group of three — to get a vasectomy, Mills observed that more men are teaming up. Diaz, Santangelo and Lambrechts — “the three vascateers,” as they dubbed themselves — decided to have the procedures together to ease the stress and provide support for one another. They also wanted to send a message to other men that vasectomies are nothing to hide. When men visit his clinic, Mills said he typically uses the opportunity to discuss other health concerns with patients. 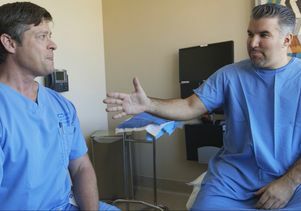 Most vasectomies are performed on men in their 30s, 40s and 50s, which is around the time that risks for other health conditions tend to rise. Diaz, Lambrechts, and Santangelo agree that men are not always eager to chat about health concerns, but they are glad they did. Journalists: B-roll, sound bites, web elements and high-resolution still photos are available for free and unrestricted use by the news media by clicking here. For assistance with downloading media assets, email shannon@mediasourcetv.com or call 614-932-9950.